Sports radio is about to get a lot more interesting. 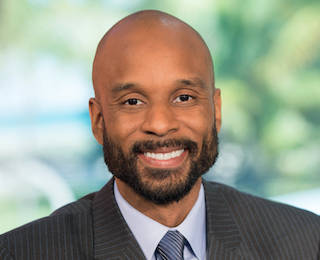 Tonight, starting at 9 pm ET, Bomani Jones begins his takeover. When Jones’ ESPN Radio show — The Right Time with Bomani Jones — premieres nationally, it will be the next chapter in an impressive career. Jones wants to make it more than that. He wants The Right Time to be the best. Anyone who has followed Jones knows part of his appeal is that — no matter what the subject is — he appears incapable of pulling any punches. He’s not worried that his blunt take on everything from pop culture to racial issues could present problems for the typical sports radio listener. “I firmly believe that I’m a lot like our listeners, and I think they’ll feel my appreciation for their lives and they’ll see some of themselves in me,” explained Jones. When asked about his unique ability to examine issues through a racial lens, Jones insisted it won’t be a focal point on The Right Time, but added that he won’t shy away from it either. If anyone can do it, Jones can. The man is relentless, hilarious and smart. We almost envy anyone who hasn’t heard of him. The Right Time will surely prove it’s better late than never.